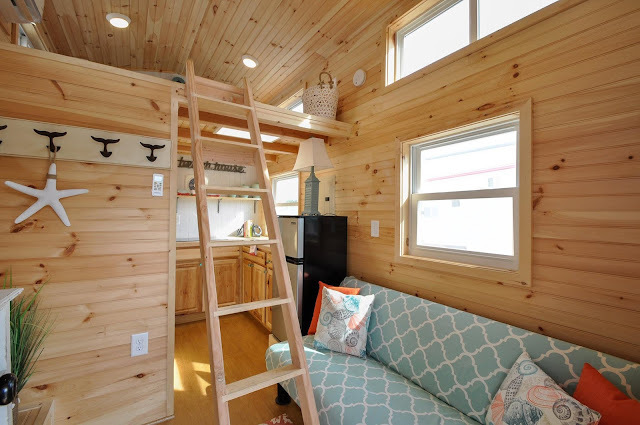 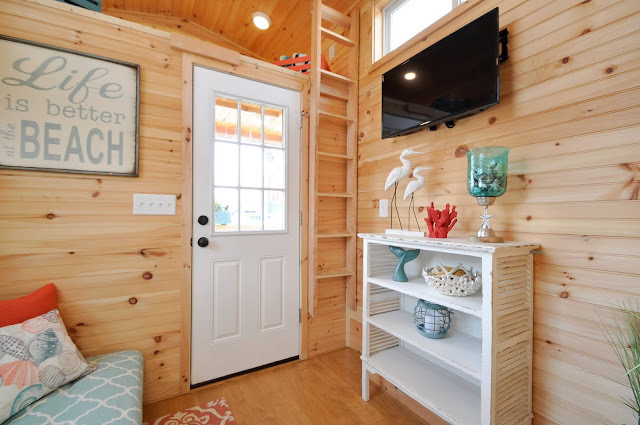 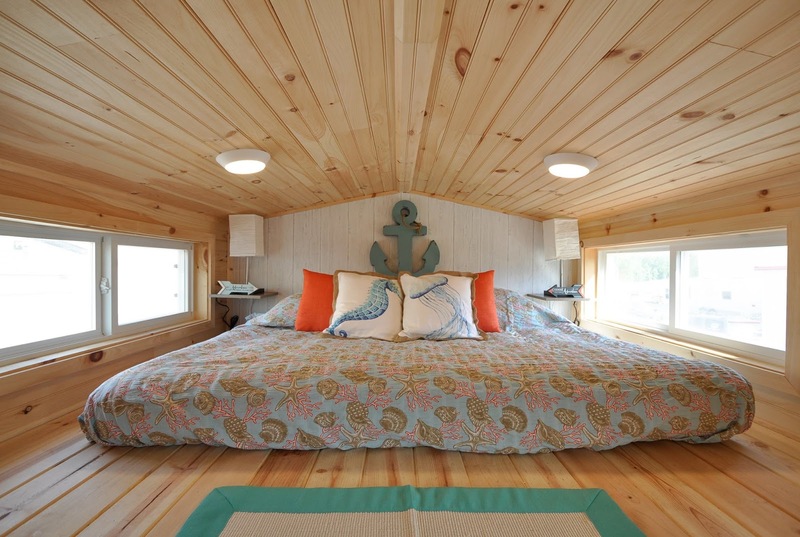 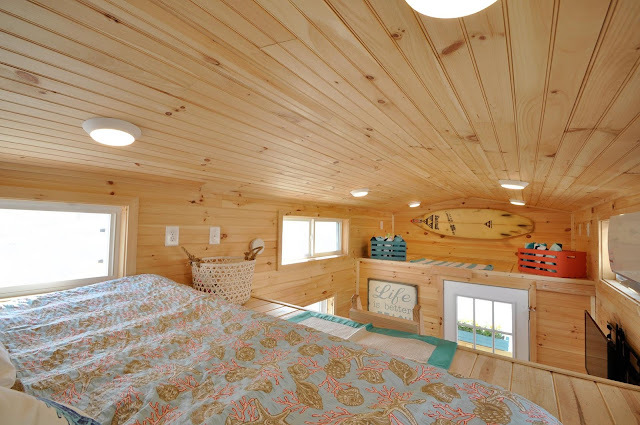 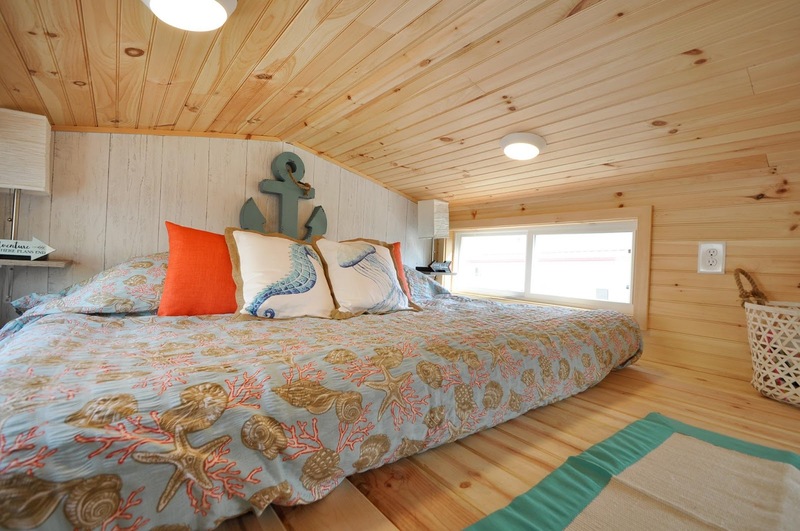 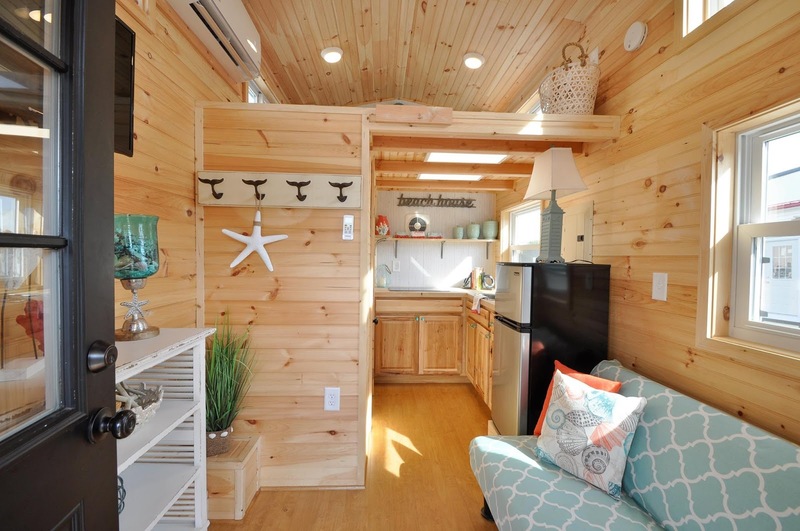 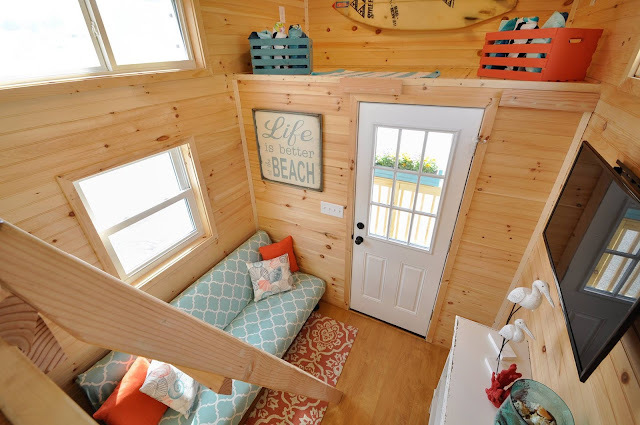 The 16’ Harbor Model is a beach-house-themed tiny house built by Tiny House Building Company, LLC! 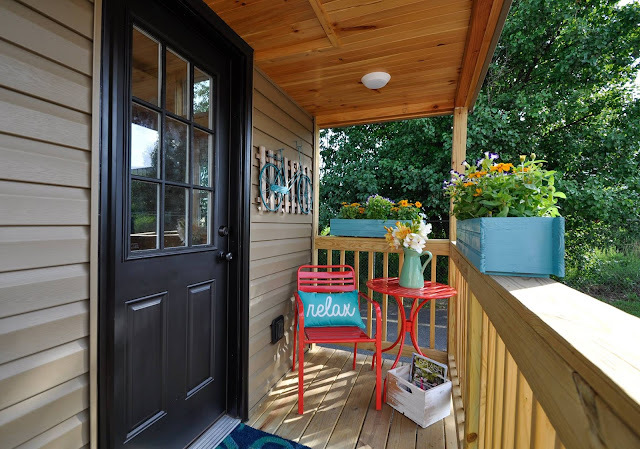 Walk up the steps of the small porch to enter the house through the black front door. 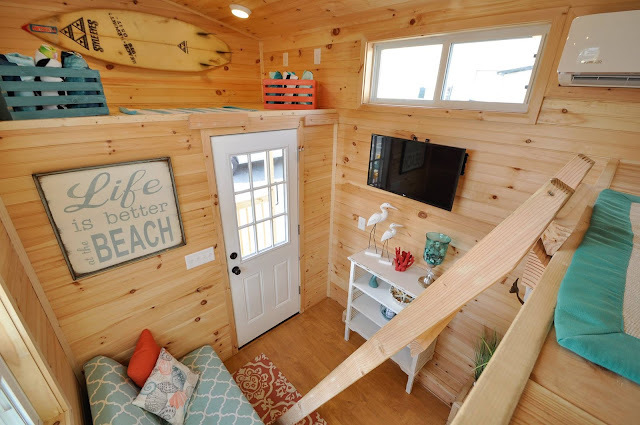 When you walk into the home, you will be standing in the main living area furnished with a futon along the right wall and a flat screen TV on the left wall. 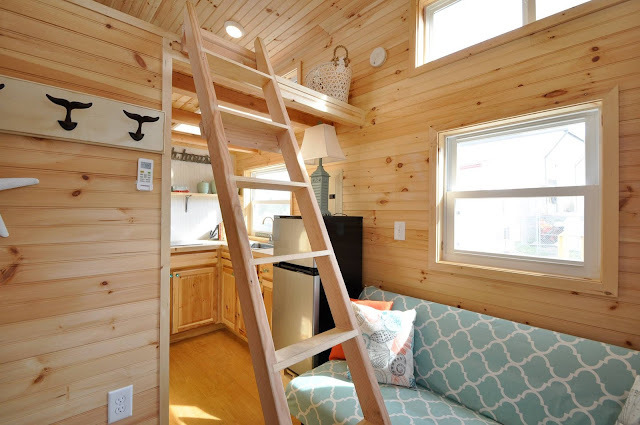 Grab the ladder stored behind the front door if you are looking to enter the lofted bedroom before you go and view the bathroom. 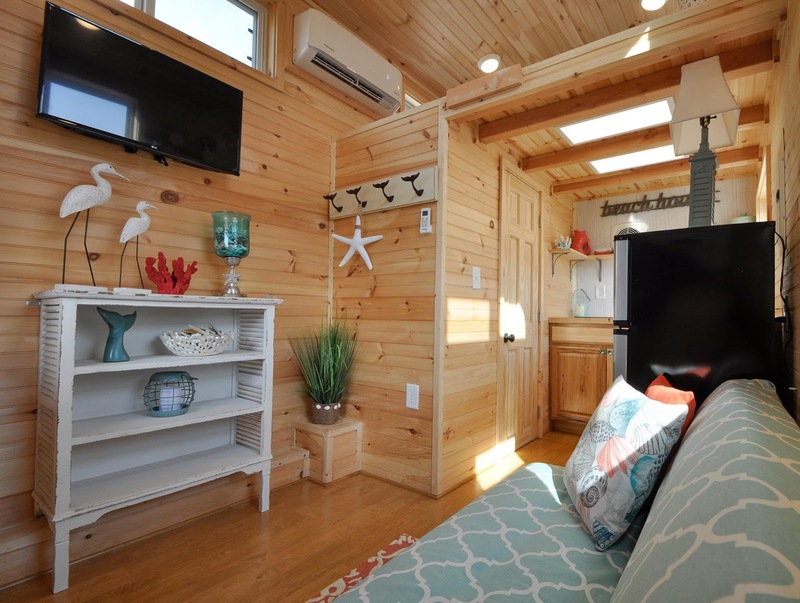 The bathroom is located across from the mini refrigerator that is positioned to the left of the futon. 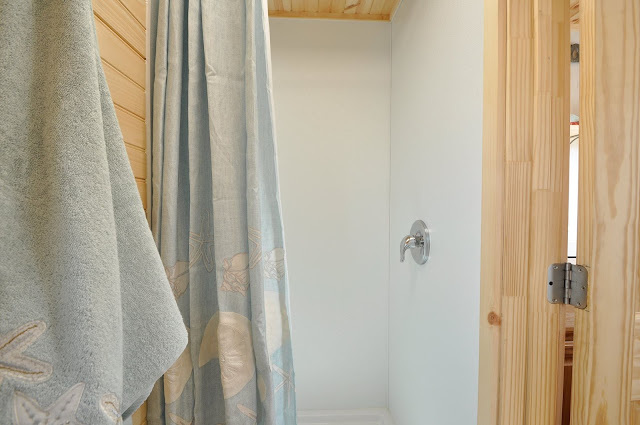 This bathroom features a walk-in shower on the right and a toilet on the left. 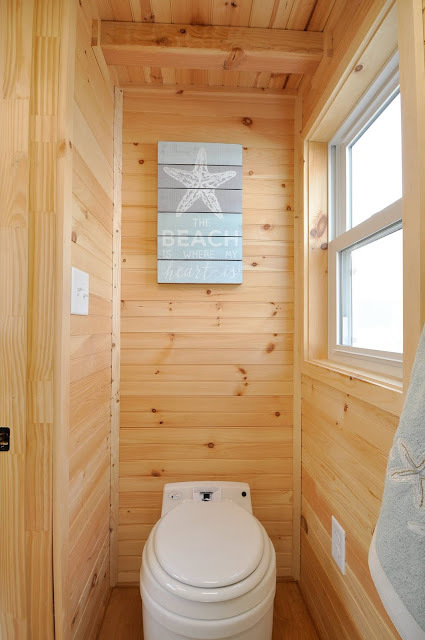 If you exit the bathroom and go to the left, you will enter the spacious kitchen. The beach-themed décor and color scheme will make you feel like the ocean is in your backyard. If you play ocean sounds throughout the house, you just may be able to transport your mind to a place of relaxation! 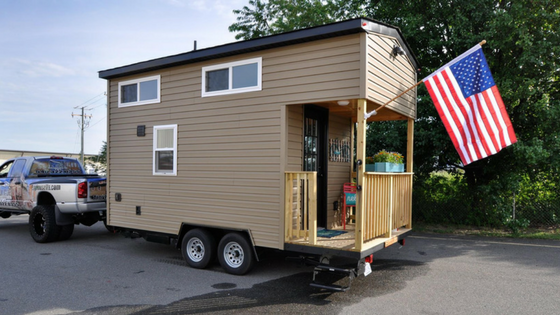 The home weighs about 5,000 lbs and is currently priced at $39,900. 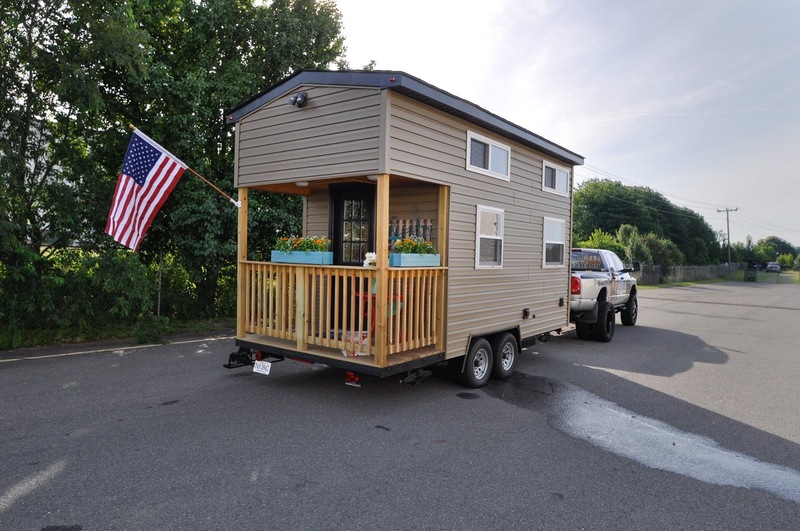 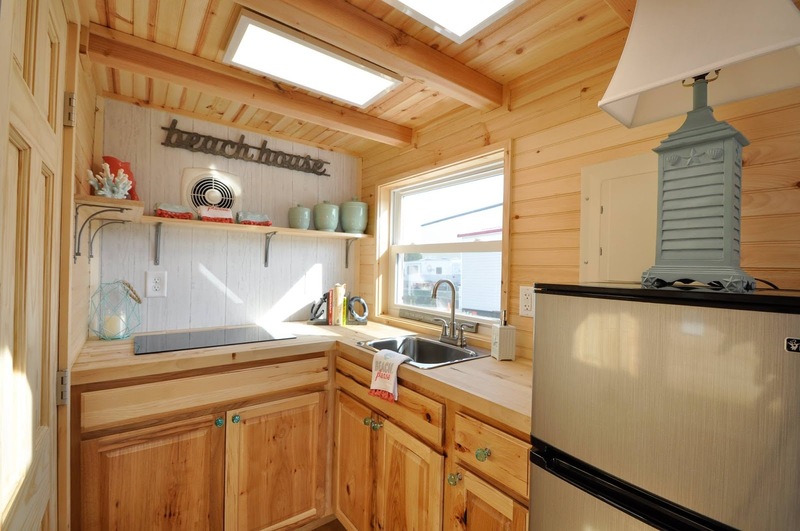 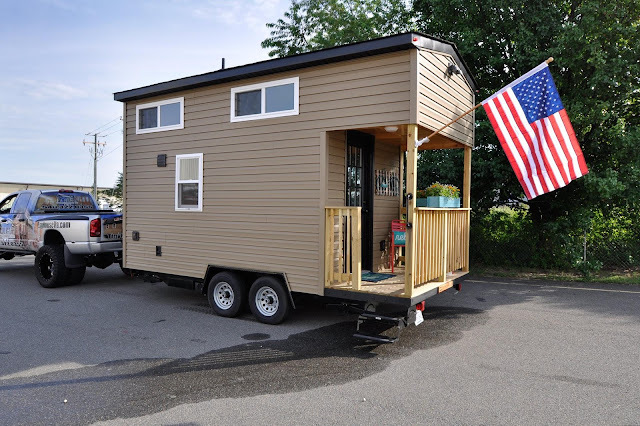 For more information on this tiny home model, contact Tiny House Building Company here!